Department of Public Health, Faculty of Medicine, UNISSULA, Semarang, Central Java, Indonesia. ABSTRACT: This review summarizes the health benefits of Tender Coconut Water (TCW). TCW is a natural, healthy, nutritious drink from coconut tree widely grown in tropical countries. Indonesia is the larger country with the largest coconut growing country in the world. The active compounds in TCW include methionine, L-arginine, cytokines, selenium, vitamin C, and Zn, Mn and Cu. L-arginine is present in TCW significantly reduce the free radical generation, TCW Also contains vitamin C that significantly reduces lipid peroxidation when Introduced in rats. L-arginine was able to increase glutathione peroxidase (GPx) activity in rat exposed to plumbum. Cytokinin is a potent antioxidant against free radical-induced cell damage. Selenium is one of the micronutrients that form the enzyme GPx. Methionine is an amino acid containing sulfur that can be used as a source of thiols and plays a role in the synthesis of glutathione. The TCW of 5-7 months of age is about 500-750 mL; depending on the maturity and varieties of coconut. The older the coconut, the less water it contains. INTRODUCTION: Foods containing natural antioxidants can be used as a strategy to reduce morbidity and mortality especially due to oxidative stress 1 and the prevalence of degenerative diseases 2. Coconut water is a natural, healthy, nutritious drink from coconut palm trees widely grown in tropical countries. Indonesia is the largest coconut growing country in the world 3. TCW has a therapeutic effect 4, 5, containing various nutrients such as minerals, vitamins, antioxidants, amino acids, enzymes and growth hormones 6. Recent studies have shown that TCW is rich in L-arginine, a free form amino acid, and vitamin C, which can prevent heart disease and lipid peroxidation 4, 7. Also, TCW also contains various important compounds for the body, such as magnesium, potassium, calcium, selenium, methionine, zinc, iodine, manganese, boron, molybdenum and phyto-hormone such as auxin, cytokines, gibberellins 4, 8. L-arginine can be used for the therapy and reduce the effects of heavy metal poisoning 9. Treatment with L-arginine was able to increase GPx activity in mice exposed to plumbum (Pb) 10. Cytokinin is a potent antioxidant against free radical-induced cell damage 8. Selenium is one of the micronutrients that form the GPx enzyme. Methionine is an amino acid containing sulfur that can be used as a source of thiols and plays a role in the synthesis of glutathione. The water content in a tender coconut of 5-7 months of age is about 500-750 mL and depends on the maturity and varieties of coconut 11, 12. The finding of Bhagya et al., 4 proved that tender coconut water could reduce oxidative stress and improve antioxidant status characterized by decreased MDA levels, increased levels of antioxidant enzymes such as SOD, CAT, and GPx in mice fed fructose diet. Loki and Rajamohan showed that TCW has a beneficial effect, significantly lowering MDA levels and increasing levels of antioxidant enzymes such as SOD, CAT and GPx in carbon tetrachloride-induced rats (CCl4) 13. Similar research conducted by Anurag and Rajamohan 34 proved that tender coconut water improves mitochondria and provides protection against isoproterenol (free radical) induced damage. Zulaikhah et al., the study showed that TCW could lower total cholesterol (TC), low-density lipoprotein (LDL) and triglycerides (TG) levels and decrease height-density lipoprotein (HDL) 14. The results of subsequent studies in human demonstrated that TCW could increase the antioxidant enzyme superoxide dismutase (SOD), catalase (CAT), glutathione peroxidase (GPx), decrease lipid peroxidation, and prevent oxidative stress in the traditional gold miners exposed to mercury 15. Dwarf coconut is a variety of coconut that yield nuts after 4-6 years of planting, for example, examples ivory coconut (Eburnia variety), coconut king (Regia), and king Malabar (Preciosa) and quail (Pumila). Hybrids are the inter-varietal crosses between deep dwarf coconut. B. Coconut morphology: 11, 12 Coconut trees can grow up to ± 30 m and live for 70 years. Coconuts grow in clusters and usually 1 side bunches 5 to 12 pieces. An adult coconut tree usually produces a new cluster every month or about 12 bunches per year. A productive coconut tree can produce 100-140 coconuts per year 31. The nutrition, taste, size, texture, water and coconut flesh depend on coconut varieties and fruit maturity level, to achieve maximum maturity level takes between 12 - 13 months. After 6-7 months, coconut has a soft, thin, jelly-like meat (endosperm) and can be eaten with a spoon. At the age of 10-12 months, it is referred to as mature coconut where the amount of water becomes reduced by about 15-30% from the weight of the fruit or about 300 mL, has a layer of hard and thick meat, and the taste becomes less sweet 11, 12. The growth of coconut fruit based on age 2 is presented in Fig. 2. TCW is called the “fluid of life,” referred to as the Coconut Water Tender (TCW), where tender means soft flesh like jelly 11. The total water and sugar content reach a maximum when the coconut is between 6-7 months of age, at this age coconut water have the sweetest and delicious taste. The content of water and sugar will be reduced with increasing age of coconut maturity 11, 12, 16. TCW is the most nutritious healthy drink from a palm tree, is a natural isotonic drink that has content similar to our body's blood plasma 11. The content of macro and micronutrients found in tender coconut water can lower lipids, protect the heart and liver 17, 18. The content of nutrients of TCW is influenced by the age of fruit maturity, soil nutrient content and environmental conditions 12. C. TCW’s Composition: The measurement of the composition of TCW identified by Laboratorium Penelitian dan Pengujian Terpadu (LPPT) and the chemical laboratory MIPA of Universitas Gajah Mada Yogyakarta with KLT and HPLC method. Examined the type of coconut water is the ordinary green coconut water and green coconut water wulung (Viridis variety) in the range 5 to 7 months, where coconut water is commonly called coconut water (coconut milk tender). 1. Natural Isotonic Drinks: High potassium in coconut water is necessary for maintaining osmotic pressure inside and outside the cell. The living cell membrane is a semi-permeable membrane. When a cell is placed in a solution with higher osmotic pressure (hypertonic), then the water in the cell will come out so that the cell is wrinkled and this process is called plasmolysis. In contrast, if the cell is placed in a solution of lower osmotic pressure (hypotonic), then the water from outside will enter the cell and will cause the cell to swell, and this process is called plasmolysis 19. To keep the cells from being lay sided the osmotic pressure must be the same or isotonic. Coconut water called "water of life in various place in the world because of efficacy treatment. Coconut water is called a natural isotonic drink because of the electrolyte content such as sodium and potassium contained in it 11. TCW can be used as ready to drink food product having natural health beneficial nutrients 20. 2. Prevents Oxidative Stress: According to Bhagya et al., TCW can reduce systolic pressure, lower triglyceride and free fatty acids. Mice with a fructose diet treated with TCW reduced MDA levels as a parameter of lipid peroxidation and increased antioxidant enzyme activity. The conclusions of this study indicate that tender coconut water therapy can effectively reduce the occurrence of oxidative stress and improve the antioxidant status in mice fed fructose diet 4. Prathapan & Rajamohan showed that TCW significantly reduced the oxidative stress induced by isoproterenol (ISO) and exerted significant antithrombotic effects 7. Anurag 21 showed that tender coconut water has a positive effect on mitochondrial activity and protects cells from free radical damage in isoproterenol-induced mice 21. TCW is a rich of L-arginine, and vitamin C. Free radical generation can be reduced due to L-arginine, vitamin C acts as a powerful antioxidant to peroxidative tissue damage. L-arginine can inhibit the generation of ROS and lipid peroxidation 4. Loki & Rajamohan reported that tender coconut water was able to lower levels of MDA and increase antioxidant enzymes SOD, CAT, GPx, in CCI4-induced rats 13. Zulaikhah & Sampurna proves that tender coconut water can prevent oxidative stress due to mercury exposure the traditional gold miners 22. 3. Antioxidant Activity: TCW can increase levels of antioxidant enzymes; Muhammad et al., reported that Coconut water vinegar has helped to attenuate acetaminophen-induced liver damage by restoring antioxidant activity and suppression of inflammation 13. The study of Zulaikhah et al., proved that the administration of TCW 450 mL/day for 30 days increased SOD and GPx levels in traditional gold miners exposed to mercury 15. Agbafar et al., the studystatedthat coconut water could increase the levels of SOD and GPx 23. Some evidence points toward an antioxidant action of coconut water. Thus, administering coconut water (6 mL/100 g of body weight) to female rats intoxicated with carbon tetrachloride recovered the action of antioxidant enzymes SOD and CAT (catalase) levels and decreased lipid peroxidation. Coconut water is also rich in L-arginine, which significantly reduces the generation of free radicals and has antioxidant activity, as well as ascorbic acid, which decreases lipid peroxidation in rats 29. 4. Lipid peroxidation Activity (Reduces MDA Levels): Signs of lipid peroxidation include MDA levels. The content of organic and inorganic ions in tender coconut water plays an important role in the antioxidant system of the human body can normalize cell function, increase antioxidant activity, increase bone formation, increase hemoglobin, gene expression, amino acid metabolism, fat and carbohydrate 12. TCW can also be used to protect the heart and prevent peroxidation 4, 7. Zulaikhah et al. proved that the administration of 450 mL/day of TCW 30 days lowers MDA levels in traditional gold miners exposed to mercury 15. Loki & Rajamohan reported that TCW was able to decrease MDA levels in CCl4-induced rats 13. Agbafar et al.,studies suggest that coconut water is capable of lowering MDA levels as lipid peroxidation markers 23. Lima et al., Show administering coconut water (6 mL/100 g of body weight) to female rats intoxicated with carbon tetrachloride recovered the action of decreased lipid peroxidation 29. 5. Improve Lipid Profile: According Bhagya et al., tender coconut water lower triglyceride and free fatty acids 4 is supported by Zulaikhah et al.,showing that TCW lower total cholesterol, triglyceride levels, LDL levels and increase HDL levels 14. The findings of Agbafar et al., showed that coconut water can reduce total cholesterol, triglycerides, and LDL and can reduce HDL 23. TCW could also reduce total cholesterol, LDL, and triglyceride levels in serum. Administering coconut water (4 mL/100 g body weight) in male rats counteracted the increases in these substances promoted by cholesterol feeding 29. 6. Improve Blood Pressure: According to Bhagya et al.,TCW can lower systolic pressure 4. The finding of Farapti et al. proved that fresh tender coconut water 300 ml administered twice a day for 14 consecutive days to lower systolic blood pressure, but not the diastolic blood pressure 24. TCW is useful for preventing dehydration, reducing swelling in the hands and feet, protecting against cancer, helping the blood sugar balance of diabetics, providing ionic mineral resources, increasing digestion, helping to relieve constipation, reducing the risk of heart disease, improving blood circulation, lowering blood pressure high, helps prevent atherosclerosis , prevents abnormal blood clotting, has anti-aging properties, restores strength and elasticity to the skin, reduces wrinkles and sagging skin, as an antioxidant, enhances immune function 8, 11, 25. Research Gullapalli et al., states that the consumption of coconut water is decreased in the blood pressure in primary hypertensive patients. The systolic and diastolic blood pressure (BP) of the experimental group decreased by 10.5 mm Hg and 6.8 mm Hg respectively 26. 7. Cardioprotective Activity: Epidemiological studies suggest that high levels of HDL can prevent heart disease (cardiovascular diseases) such as ischemic stroke, myocardial infarction 23. Anurag and Rajamohan showed that coconut water has a cardioprotective effect in experimental myocardial infarction induced in rats 18. An important biological action of coconut was demonstrated using an experimental model of myocardial infarction induced by isoproterenol in rats. Feeding these animals with TCW protected against the induction of myocardial infarction and decreased mitochondrial lipid peroxidation 29. 8. Anti-inflammatory Effects: The anti-nociceptive and anti-inflammatory effects observed in this study, like other biological properties of coconut water, may be due to its unique composition of sugars, vitamins, minerals, amino acids, and cytokinin acids. This reduces threshold in both lactating and adult rats. This anti-inflammatory potential of coconut water may be linked descriptively with inhibiting prostaglandin production, thereby reducing inflammation and pain. The results of the study show that coconut water possesses analgesic and anti-inflammatory properties in duration-dependent manner. The analgesic property was demonstrated from thermal nociception in the test models of the hot plate and tail immersion, and chemical nociception in formalin-induced paw licking and acetic acid-induced writhing tests. Anti-inflammatory effect was evaluated using the same test model of carrageenan-induced paw edema. Coconut water can prevent inflammation 27. 9. Diarrhea Therapy: Coconut water is rich enzyme systems include very effective and selective reductase, polyphenol oxidase (PPO) and peroxidase (POD). These are involved in its development of a brownish color when it is exposed to air for a long time. Based on its content and properties, coconut water has been used in the treatment of child and adult diarrhea, and gastroenteritis as well as for urinary stone dissolution, short-term intravenous hydration and protecting against gastrointestinal tract infections 28. 10. Antidiabetic Activities: The effects of mature coconut water were also evaluated and compared with glibenclamide in alloxan-induced diabetic rats. Treatment of diabetic rats with lyophilized mature coconut water (1000 mg/kg body weight) or glibenclamide (0.6 mg/kg body weight) reduced blood glucose levels (129.23 ± 1.95 and 120 ± 2.3 mg/dL, respectively) when compared with the untreated control (275.32 ± 4.25 mg/dL). Coconut water also increased insulin levels and liver glycogen concentrations and reduced glycated hemoglobin levels in diabetic rats. Also, elevated levels of liver function enzymes markers like alkaline phosphatase, serum glutamate oxaloacetate transaminase, and serum glutamate pyruvate transaminase in diabetic rats was significantly reduced upon treatment with mature coconut water. It was also observed that diabetic rats showed altered levels of blood urea, serum creatinine, and albumin, and the albumin/globulin ratio was significantly reversed by treatment with mature coconut water and glibenclamide 29. 11. Increase Hemoglobin Levels: Tender coconut water is effective to reduce the parasitemia index and increase hemoglobin levels in mice inoculated Swiss PBA, but the effect in human malaria is not confirmed and need further investigation 30. Preventing prickly heat, eliminating rash caused by chicken pox, measles, etc. TCW contains an electrolyte fluid that maintains the body's osmotic pressure can be used as an intravenous fluid in an emergency. In case of emergency in remote regions of the world and during World War II, coconut water was used as a short-term intravenous hydration and resuscitation fluid, 27 TCW was used as a substitute for fluids and nutrients at the time of the babies suffering from diarrhea in Vietnam 11. CONCLUSION: Experimental studies involving human and animals showed that TCW could be used to prevent oxidative stress, Antioxidant activity, Lipid peroxidation Activity, Improve Lipid Profile, Blood Pressure, Cardioprotective activity, Anti-inflammatory effects, Diarrhea Therapy, Increase hemoglobin levels, Antidiabetic activities and Antithrombotic Activities, etc. ACKNOWLEDGEMENT: Faculty of Medicine UNISSULA Semarang supported this article. CONFLICT OF INTEREST: The Authors declared no conflict of interest. Winarsi Antioksidan Alami & Radikal Bebas. Yogyakarta: Kanisius; 3rd ed. 2007. Astuti S: Isoflavon Kedelai dan Potensinya sebagai Penangkap Radikal Bebas. Jurnal Teknologi Industri dan Hasil Pertanian 2008; 13: 126-36. Kemendustrian RI: Roadmap Industri Pengolahan Kelapa Direktorat Jenderal Industri Agro. In: Perindustrian K, editor. Jakarta 2010. Bhagya D, Prema L and Rajamohan T: Therapeutic effects of tender coconut water on oxidative stress in fructosa fed insulin resistant hypertensive Rats. Asian Pacific Journal of Tropical Medicine 2012: 270-6. Medeiros VdFLDP and Medeios AC: Therapeutic use of coconut water. J Surg CI Res 2012; 3: 75-83. Johnkennedy N, Joy DN, Ndubueze EH, Melvina N, Richard E and Vitus O: Antioxidant and cardioprotective effect of coconut water against doxorubicin-induced Journal of Krishna Institute of Medical Sciences University 2013; 2: 37-41. Prathapan A and Rajamohan T: Antioxidant and antithrombotic activity of tender coconut water in experimental myocardial infarction. Journal of Food Biochemistry 2011; 35(5): 1501-1507. Lukose RM: The chemical composition of tender coconut (Cocos nucifera) water and coconut meat and their biological effect in the human body. International Journal of Green and Herbal Chemistry 2013; 2(3): 723-9. Kumar CA, Kumar KMU, Kumari KV and Rao R: L-arginine mitigates heavy metal inhibited nitric oxida synthase activity in tissues of the albino rat. The Bioscan 2013; 8: 937-9. Fife B: Coconut Water for Health and Healing. USA: Piccadily Books, Ltd., 2008. Priya SR and Ramaswamy L: Tender Coconut Water-Natures Elixir to Mankind. 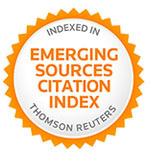 International Journal of Recent Scientific Research 2014; 5(8): 1485-90. Muhammad NE: Coconut water vinegar ameliorates recovery of acetaminophen-induced liver damage in mice. BMC Complementary and Alternative Medicine 2018; 18: 195. Zulaikhah ST, Danis P, Bagus SA, Nuri S, Brillian JEM and Alfiza NS: Effect of tender coconut water on blood lipid levels in high-fat diet fed male rats. Journal of Krishna Institute of Medical Sciences University (JKIMSU) 2017; 6(2): 63-68. Zulaikhah ST, Anies, Ari S and Santosa: Effects of tender coconut water on antioxidant enzymatic Superoxide Dismutase (SOD), Catalase (CAT), Glutathione Peroxidase (GPx) and lipid peroxidation in mercury exposure workers. 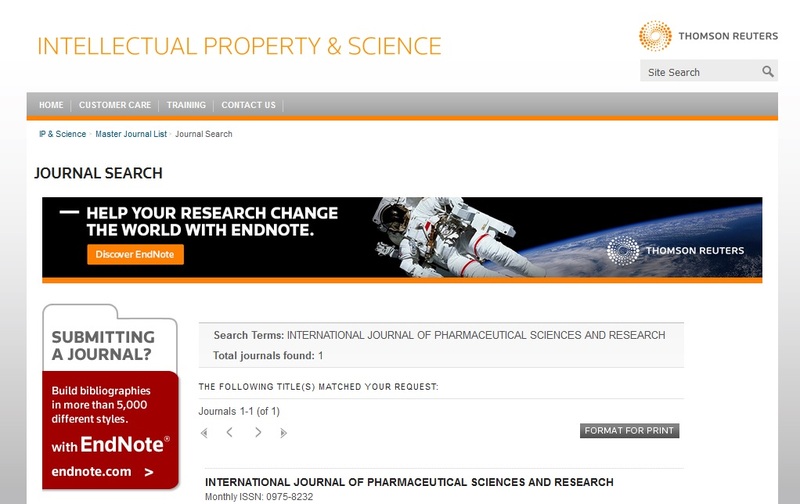 International Journal of Science and Research (IJSR) 2015; 4(12): 517-524. Alexia P, Dornier M, Diop N and Pain JP: Coconut Water Uses, Composition and properties: a review. Fruits 2011; 67: 87-107. Sandhya VG and Rajamohan T: Comparative Evaluation of the hypolipidemic effect of coconut water and lovastatin in rats fed fat cholesterol-enriched Food Chem Toxicol 2008; 46: 3586-92. Anurag P and Rajamohan T: Antioxidant and antithrombotic activity of tender coconut water in experimental myocardial Journal of Food Biochemistry 2011; 35: 1501-7. Damin S and Pengantar K: Buku Panduan Kuliah Mahasiswa Kedokteran dan Program Strata I Fakultas Bioeksakta. Jakarta: EGC 2009. Geetha V, Bhavana KP, Chetana R, Krishna AG and Kumar SG: Studies on the composition and in-vitro antioxidant activities of concentrates from coconut testa and tender coconut water. Journal of Food Processing & Technology 2016; 7(5): 1-5. Anurag P and Rajamohan T: Beneficial effect of tender coconut water against isoproterenol-induced toxicity on heart mitochondrial activities in rats. Indian Journal of Biochemistry and Biophysics 2003; 40: 278-80. Zulaikhah ST and Sampurna S: Tender coconut water to prevent oxidative stress due to mercury exposure. IOSR Journal of Environmental Science, Toxicology and Food Technology (IOSR-JESTFT) 2016; 10(6): 35-38. Agbafor, Elom SO, Ogbanshi ME, Oko AO, Uraku AJ, Nwankwo VUO, Ale BA and Obiudu KI: Antioxidant property and cardiovascular effects of coconut (Cocos nucifera) water. International Journal of Biochemistry Research & Review 2015; 5(4): 259-263. Farapti, Savitri S and Parlindungan S: Effect of tender coconut water on systolic and diastolic blood pressure in prehypertensive women. Health Science Indones 2013; 4(2): 64-68. Hedge BM: Coconut for Health & Health. Indian Coconut Jurnal 2011; LIV: 4-7. Gullapalli HS, Avinash PT and Namrata HG: Effect of supplementation of tender coconut water on blood pressure of primary hypertensive subjects. International Journal of Medical Research &Health Sciences 2013; 2(2): 172-176. Ajeigbe KO, Ndaman ZA, Amegor OF, Onifade AA, Asuk AA, Ibironke GF and Olaleye SB: Anti-nociceptive and anti-inflammatory potential of coconut water (Cocos nucifera ) in rats and mice. Australian Journal of Basic and Applied Sciences 2011; 5(9): 1116-1122. Prabhakar R and Mohana L: Coconut water - properties, uses, nutritional benefits in health and wealth and in health and disease: A Review. Journal of Current trends in Clinical Medicine & Laboratory Biochemistry 2014; 2(2): 6-18. Lima E, Sausa C, Meneses L, Ximenes N, Junior MA, Vasconcelos G, Lima N, Patrocinio M, Macedo D and Vasconcelos S: Cocos nucifera (Arecaceae): A phyto-chemical and pharmacological review. Brazilian Journal of Medical and Biological Research 2015; 48(11): 953-964. Mulyanti, Edi D, Kis D and Noor W: Effectiveness of tender coconut water (Cocos nucifera) against parasitemia index and hemoglobin levels in malaria infection. International Journal of Pharmaceutical Sciences and Research 2016; 7(9): 3873-3876. Zulaikhah ST: Health benefits of tender coconut water (TCW). Int J Pharm Sci & Res 2019; 10(2): 474-80. doi: 10.13040/IJPSR.0975-8232.10(2).474-80. Authors Address: Department of Public Health, Faculty of Medicine, UNISSULA, Semarang, Central Java, Indonesia.